As a guest at Island Pacific Hotel, you are immersed in the city’s culture, surrounded by heritage sites, dining spots and historic landmarks. 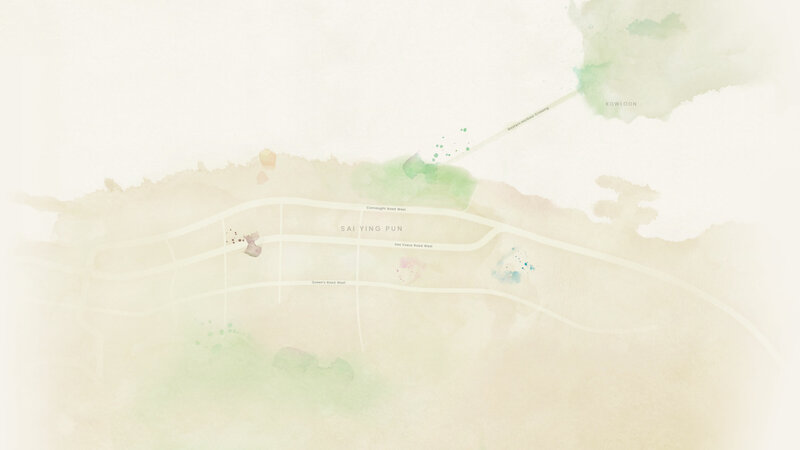 Follow the map to discover the true Hong Kong. Experience culinary traditions locals have been enjoying for decades. 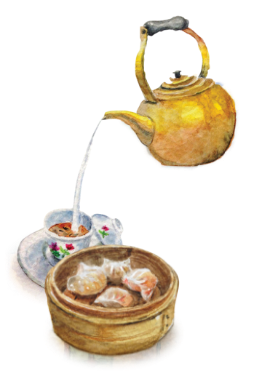 Skip the chocolate, cake or coffee and try the many local sweet soups, Chinese tarts and pastries that require hours of preparation and come with decades of tradition and many health benefits. Simply hop over the street from our hotel to enjoy the authentic experience. 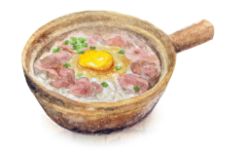 A highly rated local claypot rice champion, Kwan Kee’s shop front always attracts eager diners. 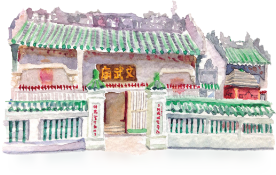 With many loyal customers, Kwan Kee is filled with the clatter of happy conversations, sizzling clay pot and the mouth-watering aroma of heart-warming Cantonese homemade fare. Visit and dine like a local. A footbridge from the hotel brings you to this waterfront park, designed to serve the local community in the Western District with leisure and recreational facilities. During the day, the area is frequented by sports enthusiasts while as dusk approaches, the park comes alive with all kinds of leisure activities, from buskers to those out on an evening stroll. The only branch in Central of Hong Kong’s century-old dim sum master Lin Heung Lau, Lin Heung Kui serves classic dim sum, made with traditional craftsmanship, techniques and recipes. Visit this modest establishment not only to savour the taste of Hong Kong, but to view some of the last hand-pushed dim sum carts in the city. Visit before these rare sights disappear! Built in 1847, the Man Mo Temple is a majestic tribute to the God of Literature (Man) and the God of War (Mo). Both of these deities were worshipped by ambitious students who were looking to succeed in exams or win an office in Imperial China. Today, people still visit with the same wishes for success. The coils of incense dangling from the ceiling of the temple are one of the most popular images on social media, attracting curious visitors and keen photographers. Dried seafood is a common ingredient in Chinese cooking and traditional tonics. This unique trade in Hong Kong is centred around a section in Sheung Wan known as Dried Seafood Street, right on the hotel’s doorstep. 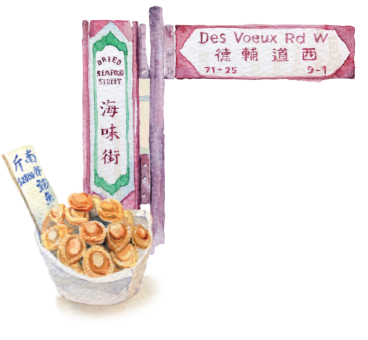 Take in the aroma of salted fish, dried oysters, scallops, abalone and shrimps that has scented the street for 50 years. The lines of shops sport precious ingredients ready for luxurious and festive banquets. Take advantage of our hotel’s waterfront location to enjoy stunning sunset views of Hong Kong’s Victoria Harbour. Walk across the footbridge from the hotel to get a front-row seat of the spectacular golden vistas or enjoy the magical hour from the comfort of your sea view room.